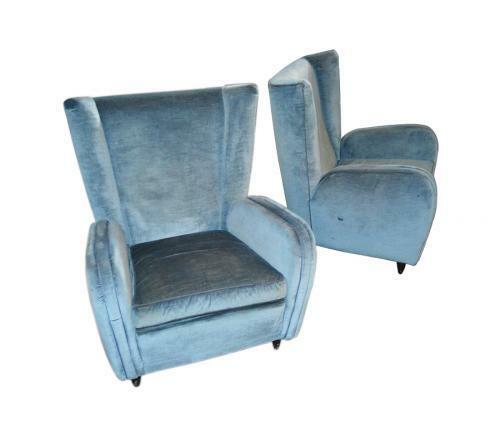 Pair of Paolo Buffa armchairs, original upholstery, prod Italy, 1950's. Perfect condition. Seat height 41 cm. We have a certificate from "Italian Ministry of Fine Arts"